In between purchases and tutorials, have a break from the markets enjoy some good street grub and a cheeky Treehouse Cider this weekend! 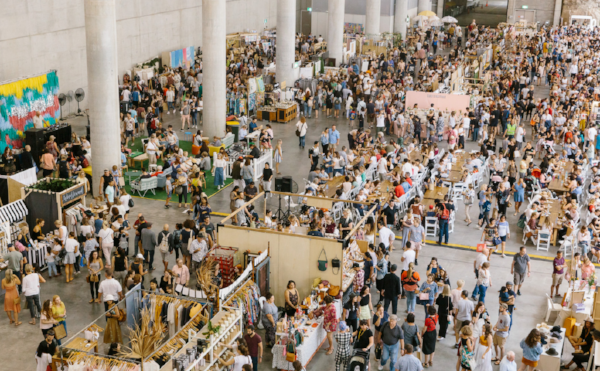 The Finders Keepers markets features over 200 independent art and design stalls at Sydney’s newest cultural venue - The Cutaway, Barangaroo Reserve. Expect to buy incredible pieces by amazing makers from Sydney, as well as treasured favourites from all around Australia. Every single market is meticulously curated, featuring fresh talent and debut stalls at every event. With dedicated food and beverage stalls, live music, two bars, two coffee carts, and Food Trucks, there’s something for everyone to enjoy! Our markets began in Sydney in 2008, this is our spiritual home! The markets have been growing ever since and are massively popular, so come along and find out what the fuss is about! The full designers, food and music line-up will be announced closer to May. Stay tuned for more updates! Sense of Taste - Brewclub 1st Birthday!